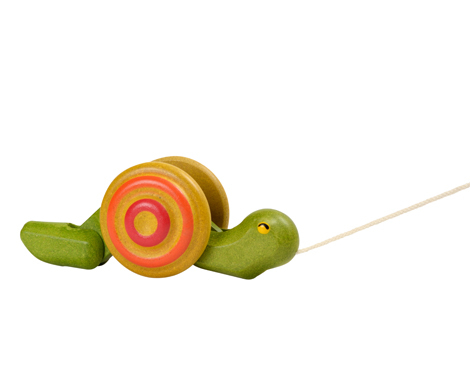 Your little one will love taking a walk with this cute snail coming behind him. The rolling motion is fun to watch and even more fun to make happen! Encourage those beginning stages of walking with this adorable pull-toy. Pull the snail along and the snail body inches forward in a rolling motion.